Artists work day and night to create vibrant and inspiring pieces of art with chalk at Via Arte. 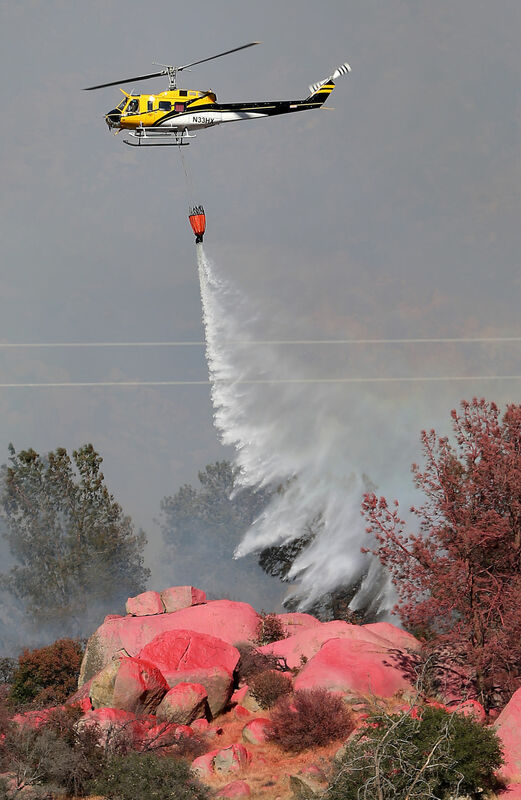 A fire fighting helicopter makes a low water drop on the Erskine Fire near Lake Isabella in this 2016 file photo. Aydin Thorne, left, and Valentina Duran appear to enjoy their time in the new outdoor classroom at the Bakersfield College Child Development Center. Celebrate National Filet Day on Monday at Black Angus Steakhouse, which will serve a variation on a classic steakhouse dinner of a 6-ounce filet with béarnaise butter, grilled asparagus and a loaded baked potato. The $28.99 dinner also comes with your choice of beverage: classic martini (with Beefeater Gin or Smirnoff Vodka), glass of Canyon Road cabernet sauvignon or a 16-ounce draft beer. To dine: Celebrates National Filet Day Monday with a trip to Black Angus Steakhouse, 3601 Rosedale Highway. The restaurant is offering a variation on a classic steakhouse dinner for the big day. For $28.99, diners can enjoy a 6-ounce filet mignon with bearnaise butter, grilled asparagus and a loaded baked potato. The offer also includes a choice of adult beverage: classic martini, glass of Canyon Road cabernet sauvignon or any 16-ounce draft beer. To redeem the deal, sign up at blackangus.com/BAoffers. To immunize: Adventist Health is holding its Children's Mobile Immunization Clinic from 8:30 a.m. to 3 p.m. at Stiern Park, 5201 Monitor St.
To document: The Bakersfield Police Department's community relations unit offers free child ID cards to the public, and accepts walk-ins on the second Monday of each month. Child ID cards include a photo, fingerprints and physical descriptions of the child. These cards are a helpful tool that keep your child's information in one place should the police ever need it. Walk-ins can meet in the BPD lobby at the downtown station, 1601 Truxtun Ave., from 2 to 4:30 p.m. Parking is available at the city of Bakersfield parking structure at 18th and Eye streets. If you cannot bring your child at this designated time, call 326-3053 to schedule an appointment for another date and time. The Bakersfield Museum of Art is looking for artists to participate in the 20th Annual Via Arté Italian Street Painting Festival, which will be held Oct. 20-21 at The Marketplace. "This annual event has become a Bakersfield tradition, bringing together the community and the visual arts," the museum said in a newsletter. If you're interested, visit viaartebakersfield.com/artists to apply. The deadline to apply is Sept. 21, but due to the popularity of this event, the museum suggests applying early to ensure your spot. Artists must be over 18 years old, and students interested in participating must apply with a registered school group. All submissions must include the potential artwork for your square. Selected artists will be notified of approved square size and design by Oct. 5. For more information about this year’s event, visit viaartebakersfield.com. Q: How do wildfires get their names? A: It seems once one California wildfire is contained, another erupts. More than 13,500 firefighters are on the front lines of 13 large wildfires across the state, Cal Fire said Friday. These fires have burned more than 671,000 acres and damaged or destroyed more than 2,000 structures. Almost 3,300 residents remain evacuated. Each one of those 13 fires has its own name, and that name has an origin. In most cases, the dispatch center sending the initial resources to a wildland fire will designate a name for the fire, Cal Fire says, but the first engine or fire official on scene can also name the incident. Fires are usually named for the area in which they start — a geographical location, local landmark, street, lake, mountain, peak, etc. For example, the Erskine Fire, which burned more than 48,000 acres in Lake Isabella in 2016, started near Erskine Creek Road, according to incident information provided by Cal Fire. But why name a fire at all? Cal Fire says quickly naming the fire provides responding fire resources with an additional locator, and "allows fire officials to track and prioritize incidents by name." Fire names can also be used more than once. The Cedar Fire, which broke out in Kern County right after the Erskine Fire, was not the first Cedar Fire. Thirteen years before in 2003, the largest wildland fire in California history — the Cedar Fire in San Diego County — was named after the Cedar Creek Falls area where it started, The New York Times reports. Are you curious about something in our community? We would like to help answer your questions. Send your questions to esanchez@bakersfield.com.